Large WIDE size 1 inch fold over elastic. 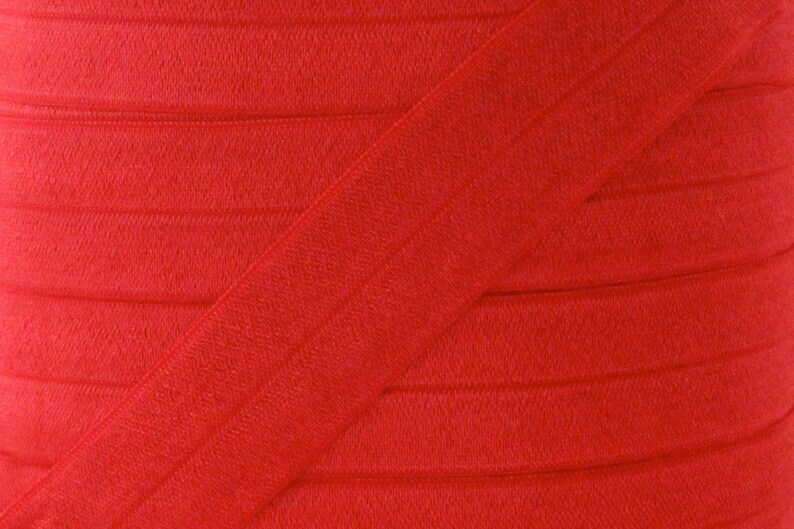 5 yards of soft and shiny fold over elastic (FOE) in Red. It came as ordered and as described. It worked wonderfully with my project!